Play Tiny Rifles and more New Games Games on Games1.com! 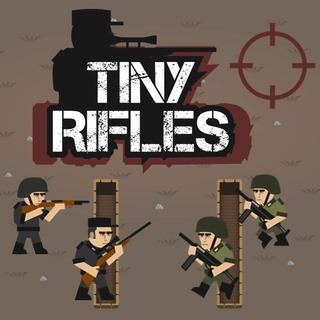 Tiny Rifles is a strategic war game. Your little soldiers have to be wary of the enemy. With the gold coins you gather while alive, you can pick and buy different firearms, riflemen and artilleries and approach your enemy cleverly. Besides taking cover you therefore also have to go on the attack! The last man standing will be the winner! As a strategic game Tiny Rifles is also a high quality mental exercise!